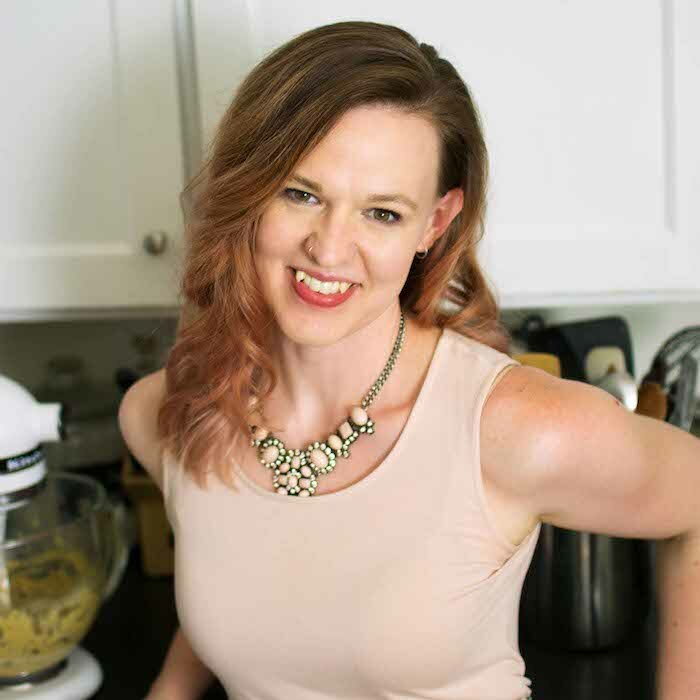 Does anyone else find it exceptionally difficult to get yourself going after a long holiday weekend? I sure do. I hope all of you had a great Thanksgiving weekend (well, those of you who are American. I hope the rest of you had a great regular weekend.) We had a lovely Thanksgiving, spent with my grandparents, aunts and sister. Anyway, I’ve been in a Christmas tizzy the last few days, trying to get as much shopping done as possible before things get really busy. So forgive me if the posts get a little light around here. I know I’m a little late in getting this post up. I’ve been meaning to do it for ages. In case you didn’t see them, you can check out the previous posts: Busy Book overview and Pages 1 & 2. The pages I’m going to show you in detail today are the bird and the tree. I started this page by ironing the bird shapes onto the background using Heatn’ Bond, then ironed the nest shapes on top. I chose to sew the button eye on before ironing it on so I wouldn’t have to sew through as many layers. But you could do it either way. For the nest, I used the wood-patterned fabric again, and layered brown felt cut in irregular shapes to make the nest look more… nesty. Or something. 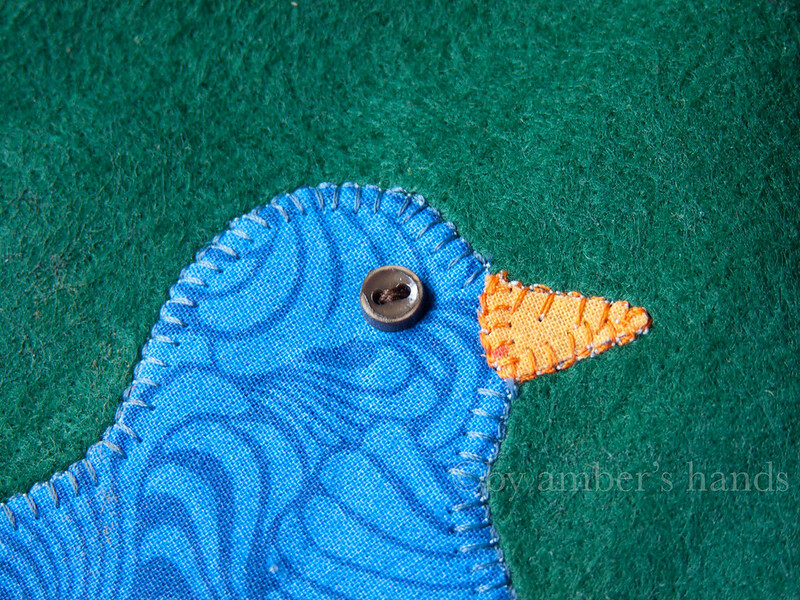 I sewed the bird & nest on using a blanket stitch. 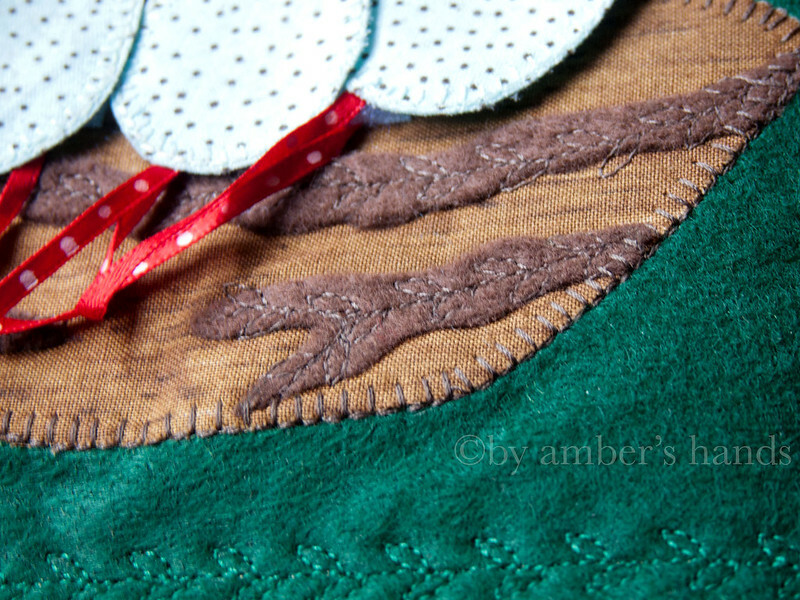 Then I used a leaf-like embroidery stitch on the felt areas. Then I used iron-on velcro (seriously, that stuff is awesome) as the fastener. I slipped the ribbon under the velcro (one end under the velcro on the nest, and the other under the velcro on the egg) before ironing it, so I didn’t have to bother sewing it. The ribbon is optional, but I didn’t want to have to be tracking down pieces all the time. 2 year-olds aren’t exactly known for keeping track of things. 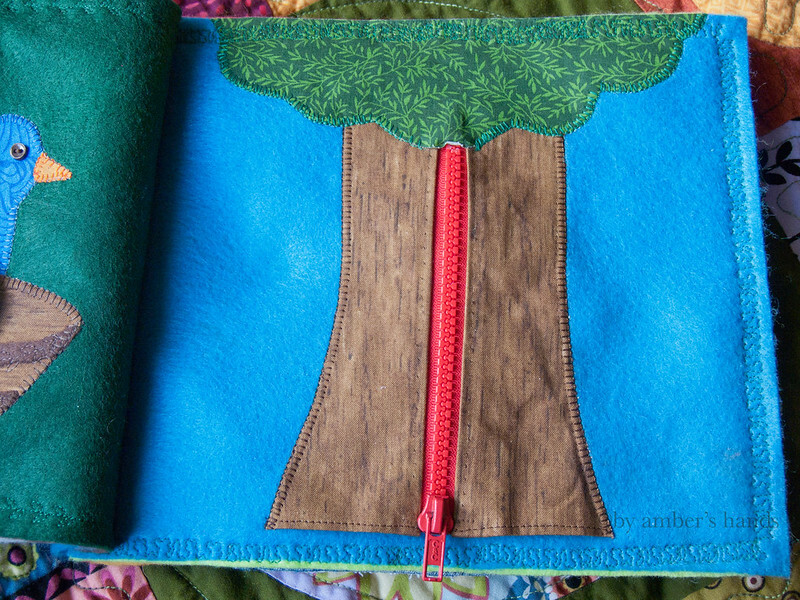 The opposing page is the zipper tree. My mom put in the zipper, so I have zero tips for you there. Other than to say that the zipper was put in first. The bottom of the tree was hemmed with a really small hem. I put Heatn’ Bond on the trunk, but only ironed it down on the edges. You could skip that & just pin it, if you want. The bear went on to the background first. I hand stitched the light brown accents onto the dark brown, although I’m not really sure why. I guess because the face & ear pieces are sort of small. Also this was actually the first page that we did, so I wasn’t super confident in the sewing machine. 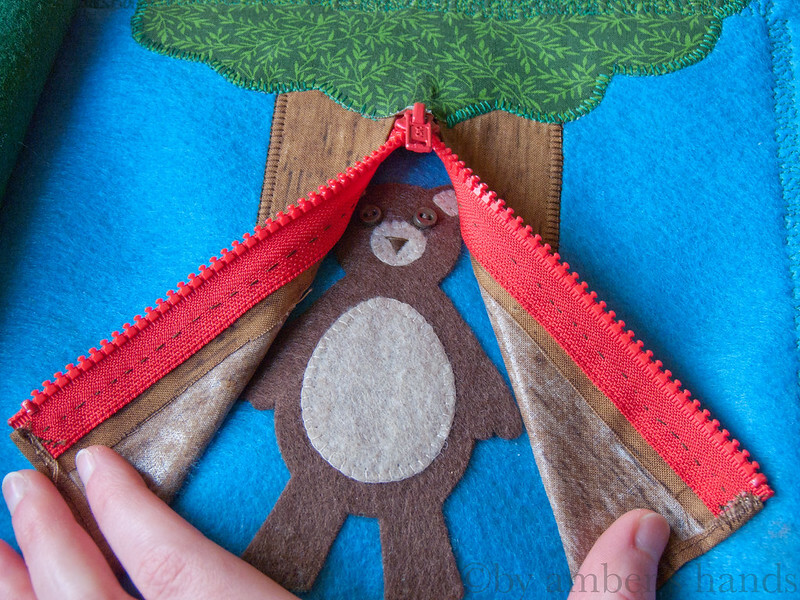 Also, I forgot to stitch down the bear to the page! Ha ha. I didn’t even notice until I was looking at this picture. So it’s bonded, but not stitched. Which in this case is not too big of a deal because the bear isn’t going to take any stress, really. 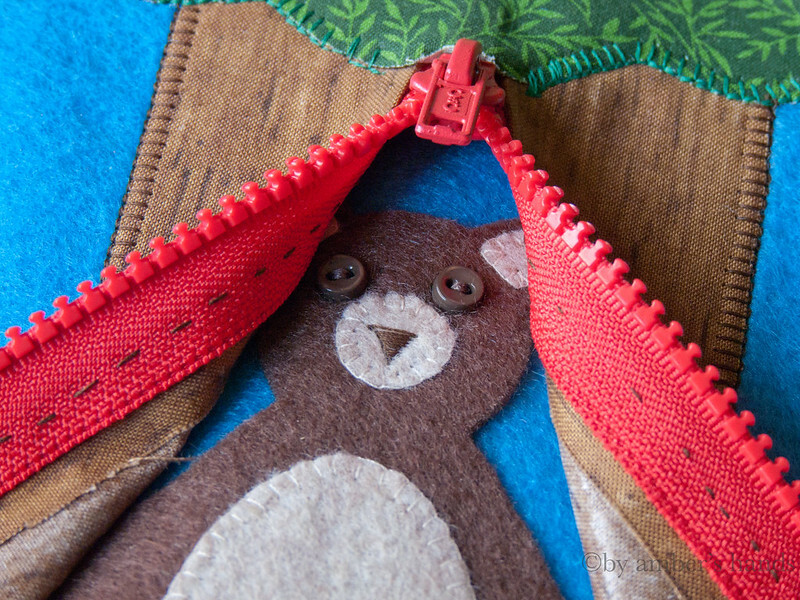 The bear’s eyes are buttons, same as the bird. 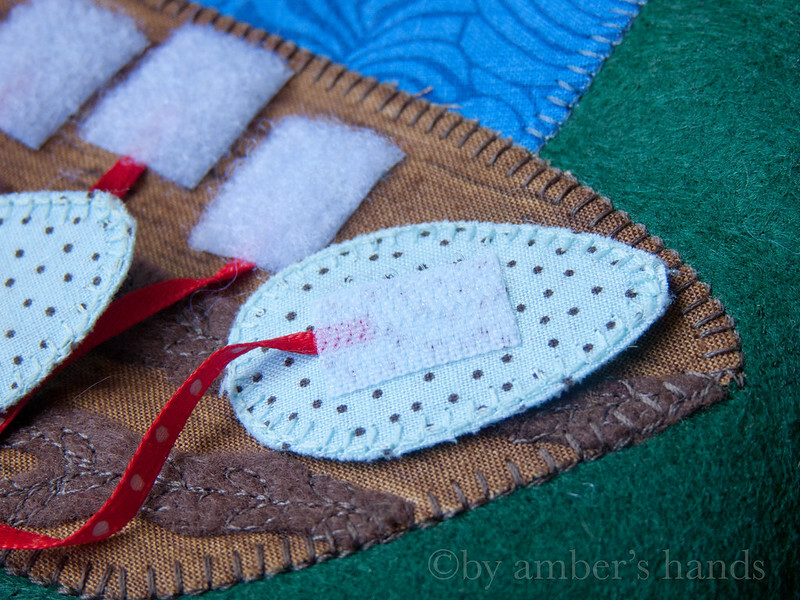 The nose was done with an embroidery stitch, just like the cat’s on page 1. 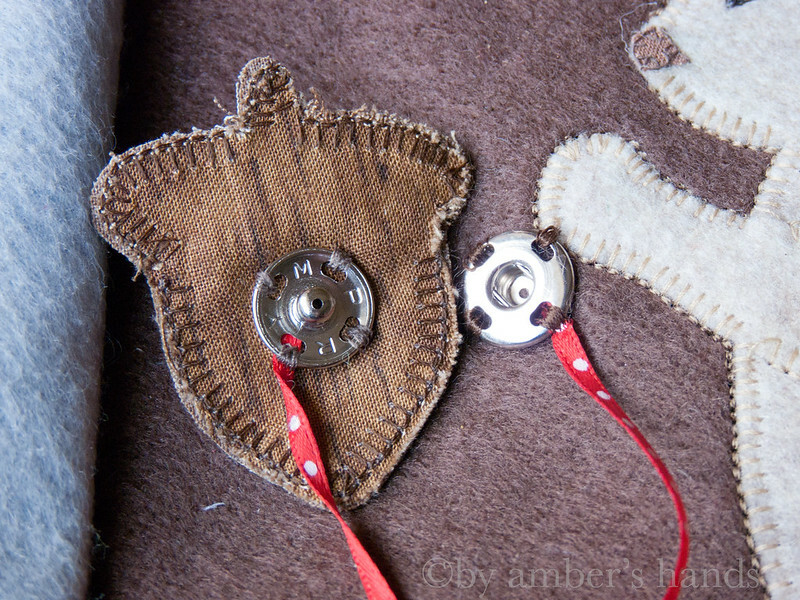 The leaves were put on last, and stitched around the edge with a blanket stitch. I didn’t stitch around the top, since I was going to be running over that with another stitch to attach another page to the other side. So that’s that! Hopefully I’ll get the rest of the in-depth posts about the busy book done soon! I sewed the zipper down by hand with a prickstitch. Basically a backstitch that is really small on the top and longer underneath. It could have been sewn on by machine too, but a hand sewn zipper is more flexible. 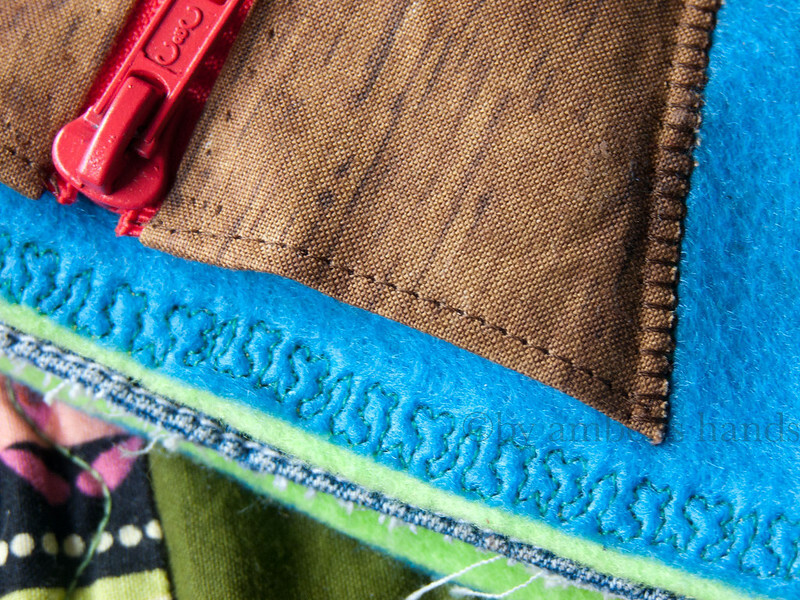 And I’m just partial to hand sewn zippers, I like the control.